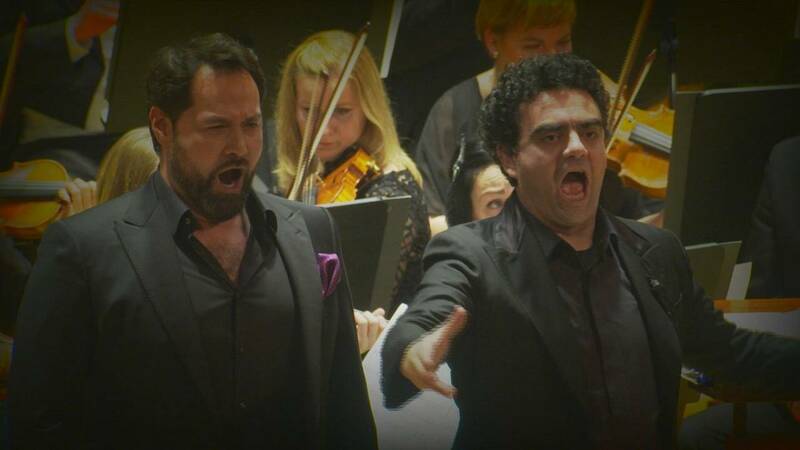 Duets for tenor and bass are few and far between: opera stars Rolando Villazón and Ildar Abdrazakov are bringing these rare gems to the stage in a series of concerts across Europe. Their tour debut in Prague’s Smetana Hall showcased some of the finest operatic arias and duets – including some from Arrigo Boito’s opera ‘Mefistofele’ – accompanied by the Janáček Philharmonic Orchestra. Euronews met with them in Prague. The Russian bass and the French-Mexican tenor first met in 2009 when they performed together at the Met Opera in New York in Donizetti’s ‘Lucia di Lammermoor’. They hit it off immediately. Rolando Villazón: “He is a very imaginative person and artist and so the voice comes through like that as well. It is able to go through the metamorphosis of the different types of characters that he has to play. The pair will be performing in Munich (3/12), Paris (9/12) and Vienna (12/12). Their album, ‘Duets’ is out now.